Nike Nike Air Max 1 On Air "Tokyo Maze"
Nike Air Max 1 On Air "Tokyo Maze"
Designed by Nike: On Air winner Yuta Takuman, the "Tokyo Maze" Air Max 1 will feature a black and white labyrinth graphic on the uppers to represent the complex Tokyo subway system with rainbow colored laces, a black midsole, which sits atop a translucent outsole. Release date is Apr. 13, 2019 at a retail price of $150. 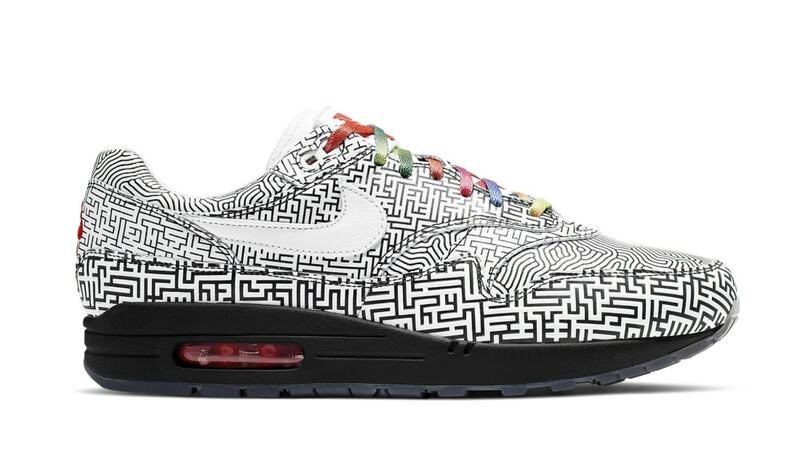 News Nike Air Max 1 On Air "Tokyo Maze"